The family has been planning an out of town trip for weeks! After finding a good schedule for everyone, we decided to drive to Tarlac City. Our first stop -- The Aquino Museum -- at Hacienda Luisita, Tarlac City. The facade of the Aquino Museum. The guard escorted us inside. It's a good thing it's open on Sundays. The museum was originally built in honor of the late Senator Benigno "Ninoy" S. Aquino, Jr. (November 27, 1932 – August 21, 1983). It was inaugurated on August 21, 2001 during the 18th anniversary of Ninoy's assassination that happened last 1983. The inauguration was led by his wife, the late President Corazon "Cory" C. Aquino (January 25, 1933 – August 1, 2009) and was attended by various politicians and supporters of Ninoy Aquino. 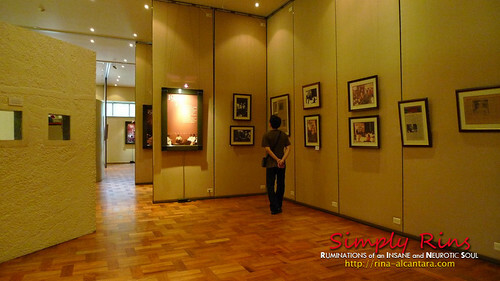 Today, the Aquino Museum houses the memorabilias of both Sen. Ninoy Aquino and Pres. Cory Aquino. It showcases key events from their political career. Here, visitors will see and relive the struggles of Ninoy Aquino under the Martial Law rule. It also helps us remember the humble life of Pres. Cory Aquino as she uplifted the Filipino spirit after regaining our independence through the 1986 People Power Revolution. 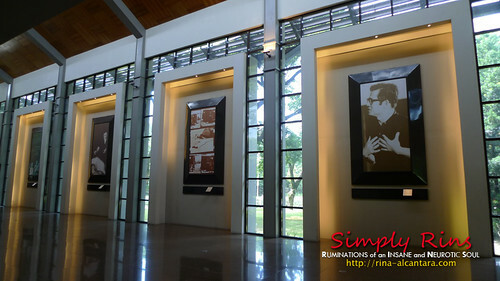 These 4 great panels will greet you upon entry to the Aquino Museum. The one nearest to the door is a portrait of Ninoy Aquino. The second are pictures from his assassination. The third is a touching photo of Cory Aquino overlooking Ninoy Aquino in his burial casket. The last panel is an image of Cory Aquino's swearing into office as the Philippine's 11th President. The building and the Aquino Museum was designed by Architect Dan Lichauco. He is the nephew of the Pres. Cory Aquino. The museum also exhibits some personal items from husband and wife, including some paintings done by Pres. Cory Aquino that were mostly nature inspired. 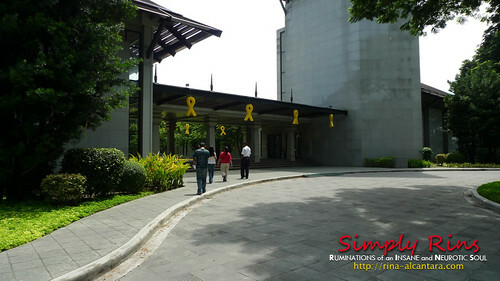 The Aquino Museum is divided into various sections depending on political eras and are properly marked. The place is large enough for memorabilias to be displayed in a manner that visitors can move freely and comfortably read captions attached to pictures or items. I recommend taking your time to read what is written per photo to get to know the real Ninoy and Cory. Their lives can touch you. 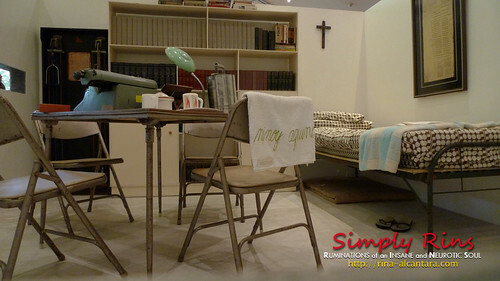 The replica of Ninoy Aquino's cell at Fort Bonifacio, where he stayed at solitary confinement from 1972-1980 is probably the highlight of the Aquino Museum. 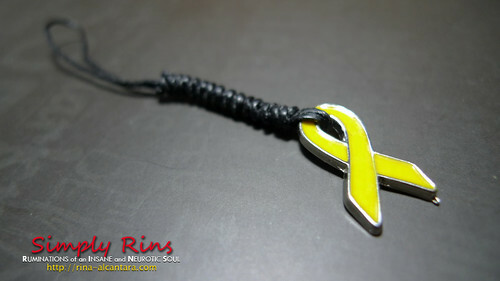 You have to see this for yourself to empathize with the late Ninoy Aquino. Imagine being here for several years. It was said that his family would sometimes spend the night here. The extra mattresses under his bed were used during such occasion. 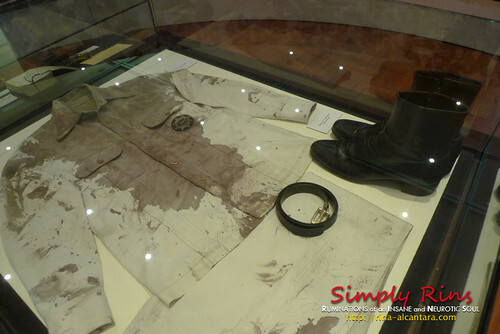 Ninoy Aquino's blood stained clothes when he was assassinated. The museum is closed every Monday and Tuesday. They open at 10:00am from Wednesday to Sunday. Adults pay P100 entrance fee, while students with valid ID enjoy a P50 charge. Senior Citizen discounts is also applicable. I bought this as a souvenir for our trip. It's a cellphone decor. It's a bit pricey for Php75. Other souvenirs includes shirts, bags, and phones. Take the North Luzon Expressway (NLEX) and exit at Dau. For a faster route, immediate take the Subic-Clark-Tarlac Expressway (SCTEx) after exiting NLEX which is a yield to your right. Follow the route going to Tarlac / Hacienda Luisita. The Aquino Museum will come up to your right side. hi nice blog about the Aquino Museum. i'm planning to go visit the museum one day. ..hi..akala ko bawal kumuha ng pictures dun?pwede pala?...amp merun po kaming project sa school..about aquinos,pwede po bang magamit un mga pics na yan? We went on a Sunday and we were not informed that it was prohibited to take pictures.